davidbau.com Does Watching Fox News Kill You? Does Watching Fox News Kill You? A note to forward to your uncle when you urge him to cut it out with the Fox News habit: watching Fox News might kill you. Here's the evidence. Starting around 2000, Fox News began dominating cable news viewership with a sensationalist formula that targeted non-college-educated middle-class non-latino white viewers. Today, the NYT points out that even as conservative Republicans dominate political power in the U.S., Fox retains its uniquely apocalyptic tone, depicting the world as a relentlessly dark and dangerous place. Nobody delivers negative news more consistently than Fox. 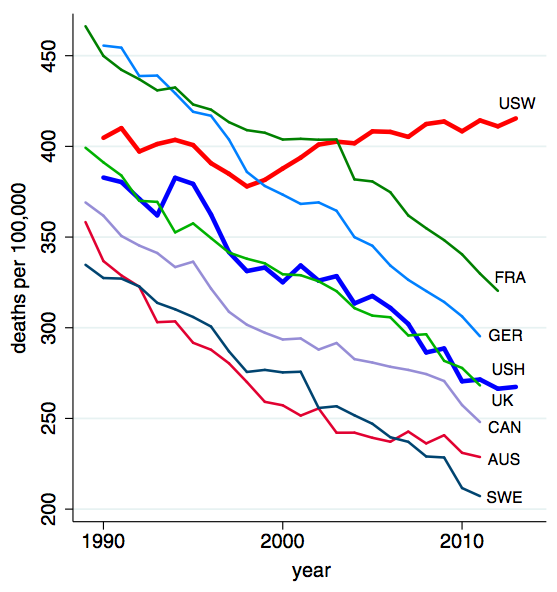 The other meme circulating today is the remarkable finding that, since 2000, there has been a unprecedented rise in death among non-college-educated middle-class non-latino whites, driven by an explosion of suicides, alcoholism, and drug addiction. Researchers are puzzled why this phenomenon seems to affect this narrow community only. What happened? 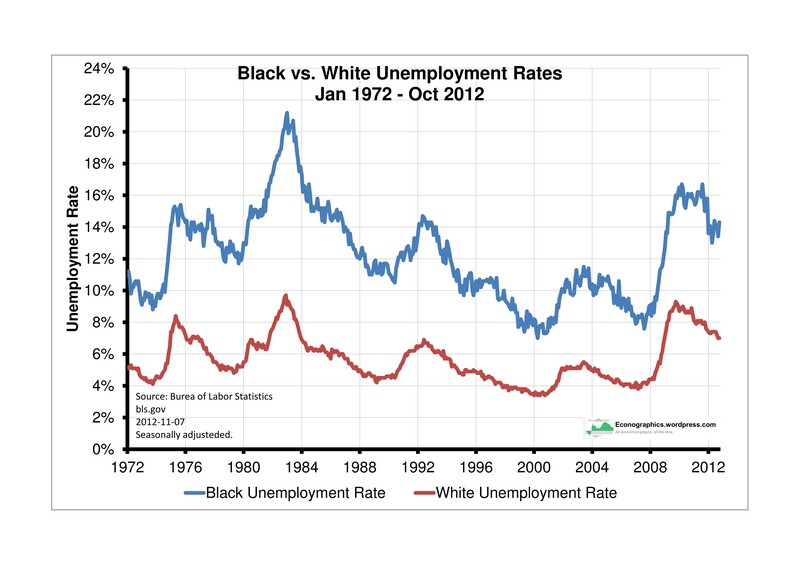 The dominant theory is that this community has faced a sudden collapse in employment opportunities. But globalization and automation are equal-opportunity employment threats that affect blacks and latinos even more severely than whites. Job losses also do not explain why the phenomenon would begin at the height of the internet boom years with low unemployment across the economy. Why are suicides narrowly rising among this white population, and why suddenly starting in 1998? Did this group face some new specific public health danger that started at that time? Of course they did. It is well-known that hours of TV watching is linked to depression. But more specifically, a study by Johnston and Davey found a direct link between negative-news-watching and mental health: consuming negative news stories makes you exaggerate the importance of your own personal problems, including problems completely unrelated to the news. This cognitive distortion, called catastrophizing, is linked to anxiety, depression, and - especially in those who suffer chronic pain - suicidal thoughts. So here's the theory. Watching too much negative news when you are suffering pain can make you oversensitive to your pain (and maybe over-consume pain medication), and it can also make you suicidal. Black and Latino and college-educated populations (and whites before the launch of Fox in 1996) are inoculated from this mental health problem because they simply do not watch Fox. Unemployment alone does not explain the death rate, because it is not getting hurt and losing your job, but after that, sitting at home consuming a regular diet of Fox News, that leads you to catastrophize your personal pain. It is the combination of bad circumstances and bad news that drives you to despair, alcoholism, opioids, and suicide. So when you get sick and are stuck at home, out of work, you should turn on Netflix and watch a fun movie to cheer yourself a bit. And knock it off with the Fox - that stuff can kill you. Graph at the top: USW is mortality rates of non-college-educated non-latino whites in the U.S. Graph at the bottom: comparative viewership of Fox News versus other cable news outlets. Disclaimer. I do not have cable so I do not watch any of the news sources graphed. While your graphs are based on 7 year old trends, I see your logic. It is interesting to note that the number of foxnews viewers is approximately equal to the sum of the other three networks combined. However in an effort to gain viewership share, shouldn't they encourage the existing viewers to continue to watch, and then let the consequences take their toll? One of the odd phenomena of the Trump era is the appearance of Russian spammers on the political scene. Russian spammers have been a constant headache for comment spam for many years, but mostly in various money-making schemes. Now I find it interesting that "Jackie" is posting pro-Trump talking points from an IP address in Quebec at 1AM Quebec time - but mid-day in Siberia. This time-zone shift is a common pattern I have seen for many years from both Russian and Chinese spammers: it is cheaper to hire Asian spammers to work during the day, so they end up posting in the middle of the night in the target timezone. They also dabble in hate, racism, nationalism, bigotry and divisive commentary all day and night. I live in the Florida Keys and there are many angry elderly people down here and FOX is on all their TV's all day. The caravan is coming to kill us! FOX should be banned for seniors.